Wooohooo I've reached 200 (202) followers! Woop Woop. I've been blogging for 18 months and it took a year to reach 50 followers, in the last 6 months I've gained 152! I put this down to joining some fantastic groups on Facebook, in particular British Nail Bloggers and participating in some great nail challenges through Llama Nails, Crumpet's Nail Tarts, Polly Polish Polish Days, Adventures In Stamping to name just a few. 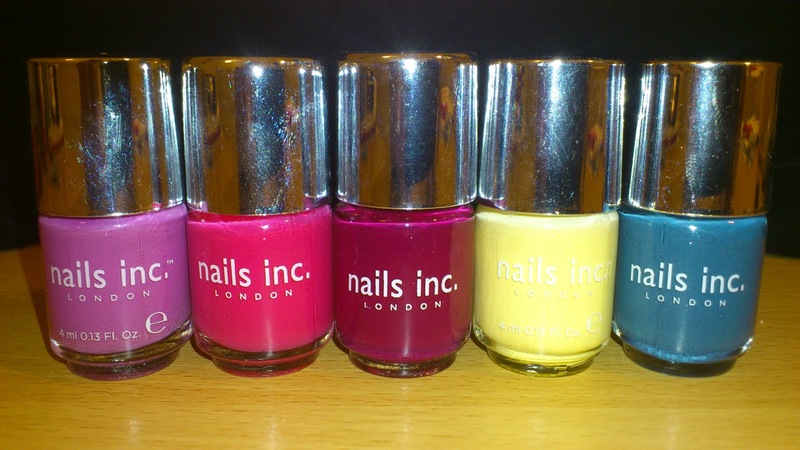 So if you wanna have some more fun with your nails, increase your followers and gain some lovely nail blogging friends, I can highly recommend these links. 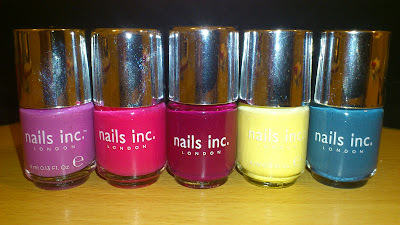 Righto, to celebrate my achievement, I'm giving away 5 mini Nails Inc polishes (my fave brand and British too!). Fill out the Rafflecopter thingymabob below, open INTERNATIONALLY (as long as your country accept it), winner will have 48 hours to respond and I will do my utmost to contact the winner as I nearly lost a prize myself as I didn't receive the winning email, through no fault of mine or the prize giver just one of those things and don't want my winner to miss out. Runs for a week. haven't got a blog so cant enter that one! Entered but don't have a blog! I look forward to reading your blog. Congratulations!!!! Ahh congrats! I've just started blogging but lucky enough to have a giveaway running. I hear you about difficult to gain REAL followers! Love your blog anyway - and congrats!